His parents made a promise that what happened to their son would never happen to anyone else and established the John R. Elliott HERO Campaign for Designated Drivers. The Pennsylvania Liquor Control Board and PennDOT have joined the HERO Campaign, which asks people to register as a designated driver. The program's goal is to make having a designated driver "as automatic as wearing a seatbelt." The launch of the campaign happens as Pennsylvania State Police increase their DUI checkpoints and roving patrols during the winter holidays to combat drunk driving. Just yesterday, a young man in Westmoreland County was arrested in Vandergrift for driving under the influence. He was already awaiting trial for an April 2012 accident that killed another driver. The National Highway Traffic Safety Administration reports that more than 800 people died in drunk driving accidents across the nation last holiday season. In Pennsylvania, 402 alcohol-related fatalities were reported last year, and 50,327 people were arrested on charges of driving under the influence. 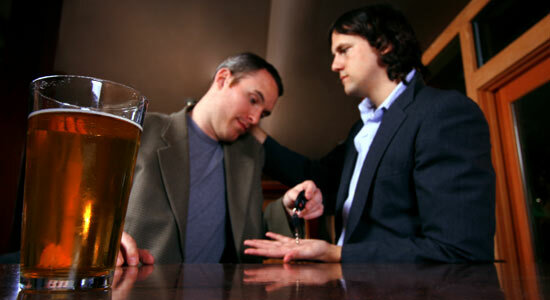 In addition to registering through the HERO program, you can also take our pledge to not drink and drive. You'll be entered for a chance to win a $100 VISA Gift Card. "Dangers await New Year's Eve drivers." Bucks County Courier Times. December 31, 2013. "HERO campaign raises awareness for safer roads during the holidays." Tribune-Review. December 28, 2013. "HERO Campaign - Bill and Muriel Elliott's Loss." John R. Elliott Hero Campaign. Herocampaign.org. June 20, 2012. "Man accused of DUI homicide facing charges for driving drunk again." WTAE.com. December 30, 2013.